Kristina and Russ’ wedding photos had this effect on me. 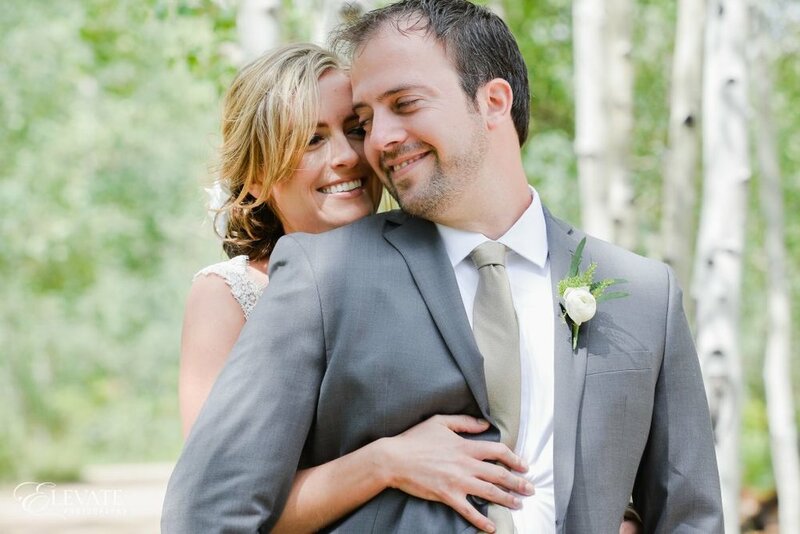 They first met at a Rapids game in Denver, just days after Russ moved to Colorado from Minnesota. They hung out as “friends” for a month or so, and Russ finally worked up the courage to kiss Kristina. They quickly realized there was no one else they’d rather be with. Russ proposed during a candlelit dinner in Puerto Vallarta, and the rest is history. 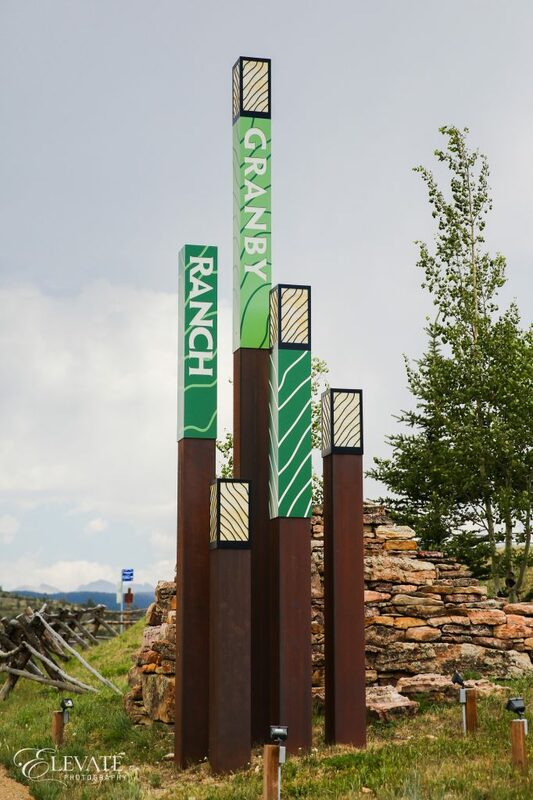 The wedding was held in July 2016 at Granby Ranch and the views were breathtaking. 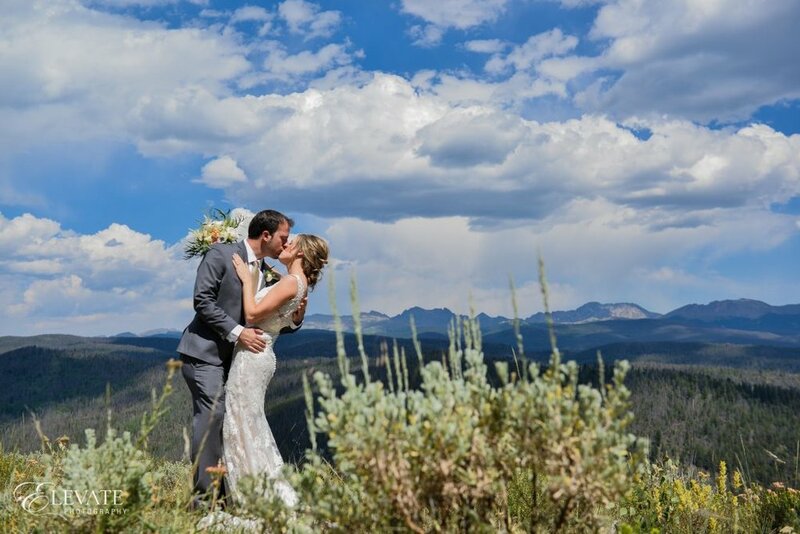 Allie from Elevate Photography captured some great images, pretty and silly, intimate and fun! 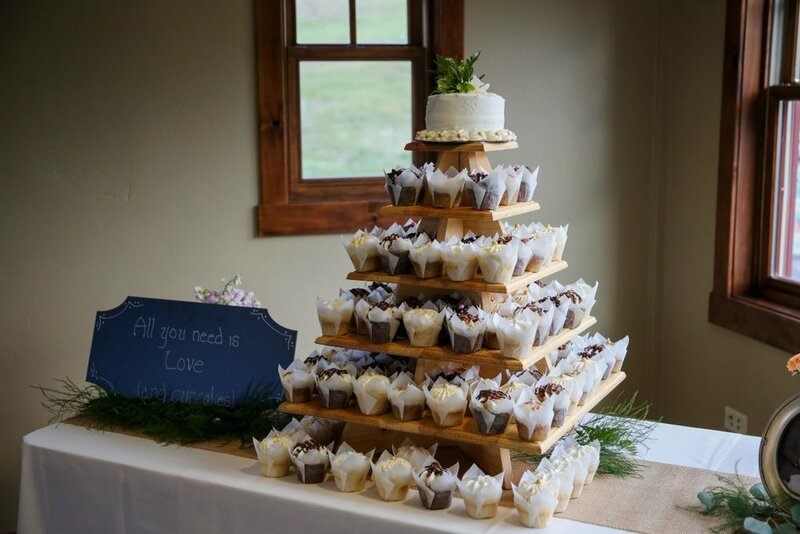 There were so many cool details that the couple thought of, from cufflinks to the table “numbers” named after a location that the bride and groom visited when they dated. Kristina and her bridesmaids rode the lift up to the top where Russ was waiting to see his blushing bride for the first time. It was such a beautiful backdrop and a truly touching moment. 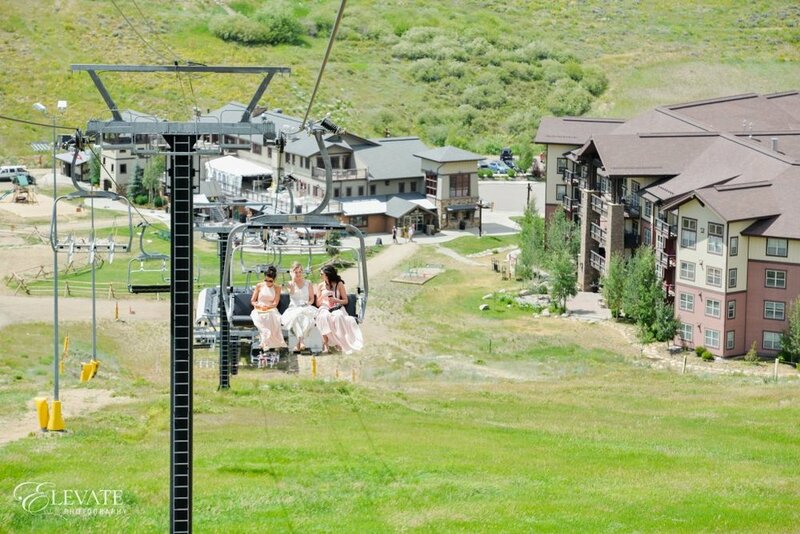 The guests also got to enjoy the ski lift to the ceremony site, which had the most spectacular view. 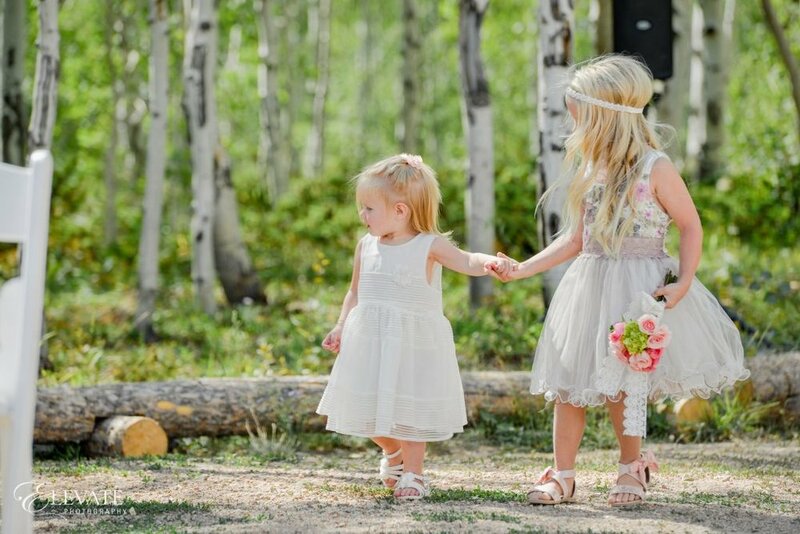 Everything from the flower girls to the bridal party, the flowers to the view and venue, everything was picture perfect! The evening was finished off with lots of dancing, a variety of delicious cupcakes from Gold Mine Cupcakes, and a S’mores bar. Not a single person was ready for the night to end … but we can’t show you how much fun everyone really had! * I believe the energy you put out in the world comes back to meet you. * I believe in love at first sight and long romantic kisses that leave you breathless. * I believe in laughing until your cheeks hurt. * I believe that life is not complete without a four-legged companion to greet you at the end of the day. * I believe that if you can’t rock stilettos … don’t wear them! * I believe that there’s nothing better than the sound of a child’s belly laugh, a strong lingering hug from a loved one, the smell of freshly brewed coffee and a top shelf margarita. * I believe that life is short so trust your gut, take a leap of faith, be courageous, and live life to the fullest! * I believe that your wedding day should be everything you want, not what others expect.